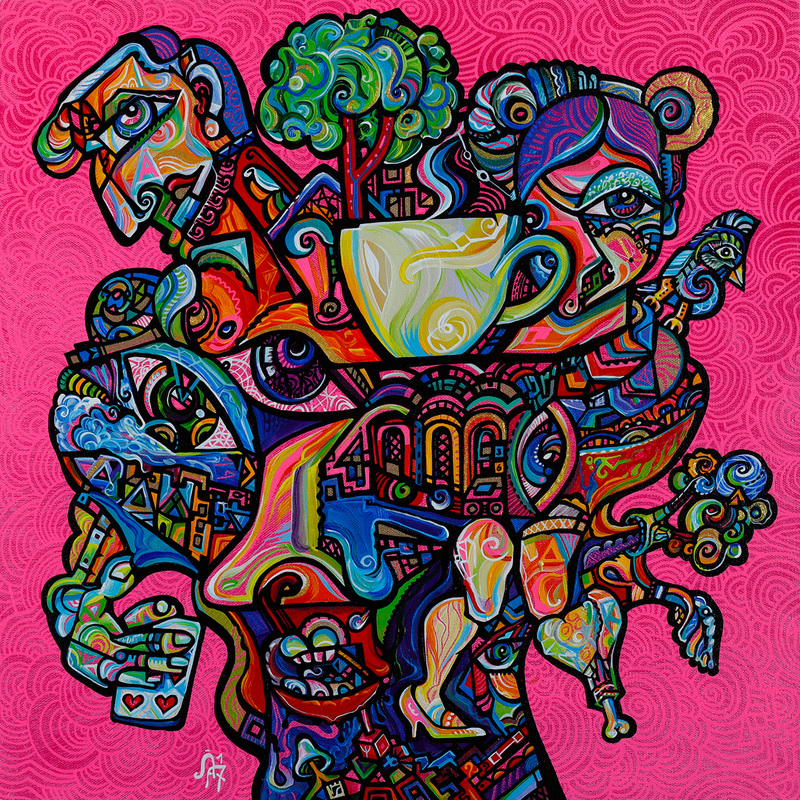 Guests are welcome to join Gloria Muriel on June 2, 1-4pm as she demonstrates her technique in a live painting session on the closing weekend of her solo exhibition, “Beyond the Eyes” at Sparks Gallery. Free to attend. No RSVP required. Parking is most available at the Park It On Market parking structure at 614 Market St (and 7th Ave) for $1 per hour. Street parking is also available for $1.25 per hour. Reserve your parking spot ahead of time, visit the Sparks Gallery SpotHero Parking Page and book a spot with rates up to 50% off drive-up. Artists Brady Willmott, Khalid Alkaaby, Marissa Quinn, Paul Hobson and Perry Vasquez from our current group show: “Gallery Selections / A Group Show” will speak about their work on display at the gallery and discuss their process and inspiration. 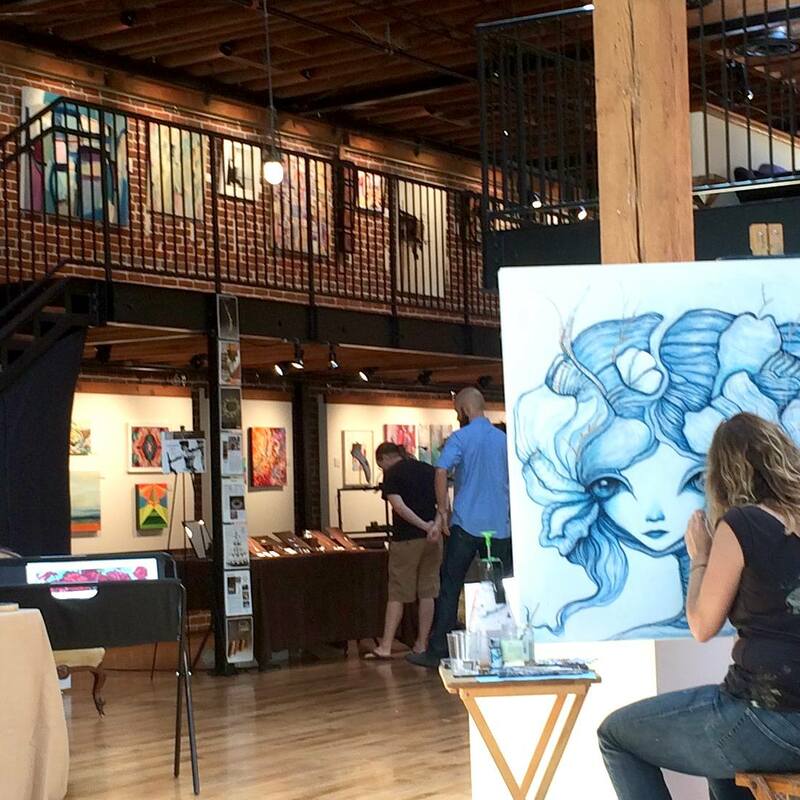 Join us on Saturday, May 12th from 1pm – 5pm for a one day only Summer Bazaar at Sparks Gallery featuring new jewelry & small works by local artists. Just in time for Mother’s Day and graduation gift shopping. Visitors will also receive exclusive offers on delicious eats at Cafe Sevilla – our neighbors in the Gaslamp. 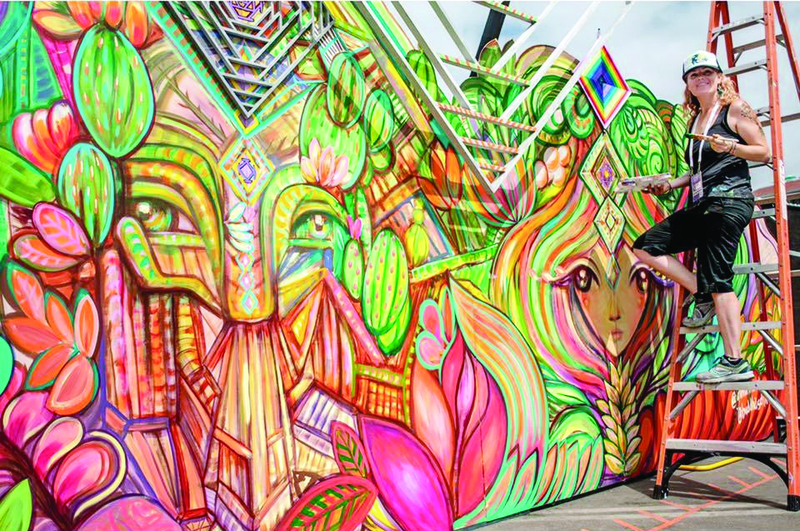 Join artist Gloria Muriel as she discusses some of her favorite murals in San Diego. Learn about the themes of the murals, the conceptualization of the work, and the creative process. 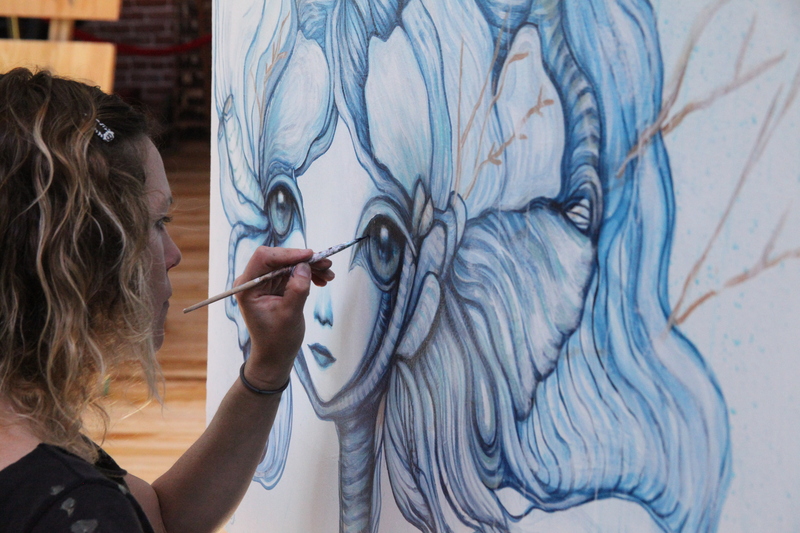 After the talk, join the artist at Alta Brewing Company to see the mural she created there. Complimentary refreshments will be served at 6pm. The talk will begin promptly at 6:30. Parking is most available at the Park It On Market parking structure at 614 Market St (and 7th Ave) for $1 per hour before 6PM. After 6PM, $10 flat rate. Please join us to celebrate Sparks Gallery as we reflect on the gallery’s official launch three years ago. Anna Stump will perform a live painting demonstration on Tuesday, March 27th, 2018 at 6:00pm. The artist will lead a short discussion about her practice and then paint from a live model. Visitors to the gallery will be able to talk with the artist and ask questions about her technique and style in relation to Stump’s current solo exhibition Nudes on display at Sparks Gallery through May 13, 2018. Join Alexander Arshansky to discuss his works on view in “Illuminated” – paintings that explore states of spiritual ecstasy and communion with the divine. Arshansky will discuss his process and how the featured works connect to his practice as a palm reader. 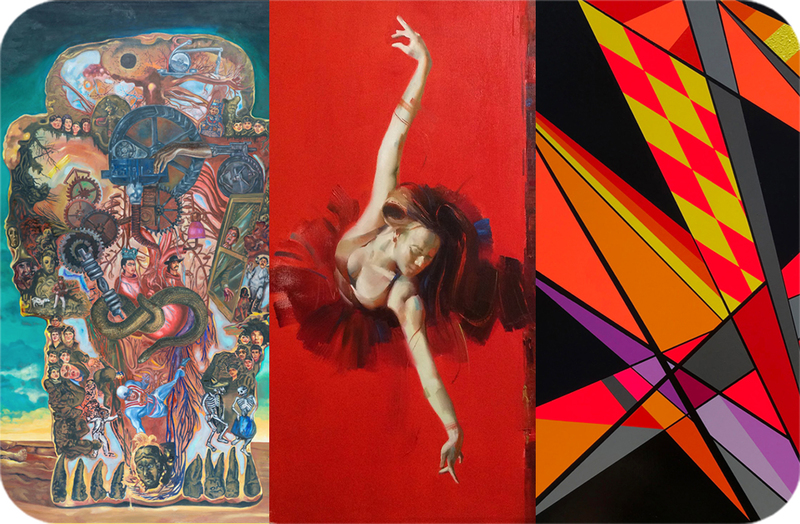 Join us for a closing reception and artist talk in celebration of our group exhibition “Seeing is Believing”. 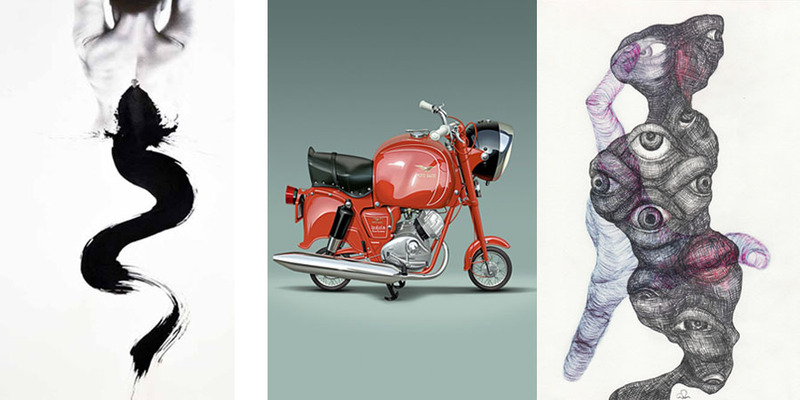 Artists Silviu Nica, Dean MacAdam, and Michele Benzamin-Miki will discuss their works in the current group show and each artist’s unique approach to their practice. The Gaslamp Quarter Association, in conjunction with Downtown Partnership Clean and Safe, collaborated for the Gaslamp’s 150th anniversary celebration with the installation of 15 fiberglass rabbit statues in the Gaslamp Quarter. 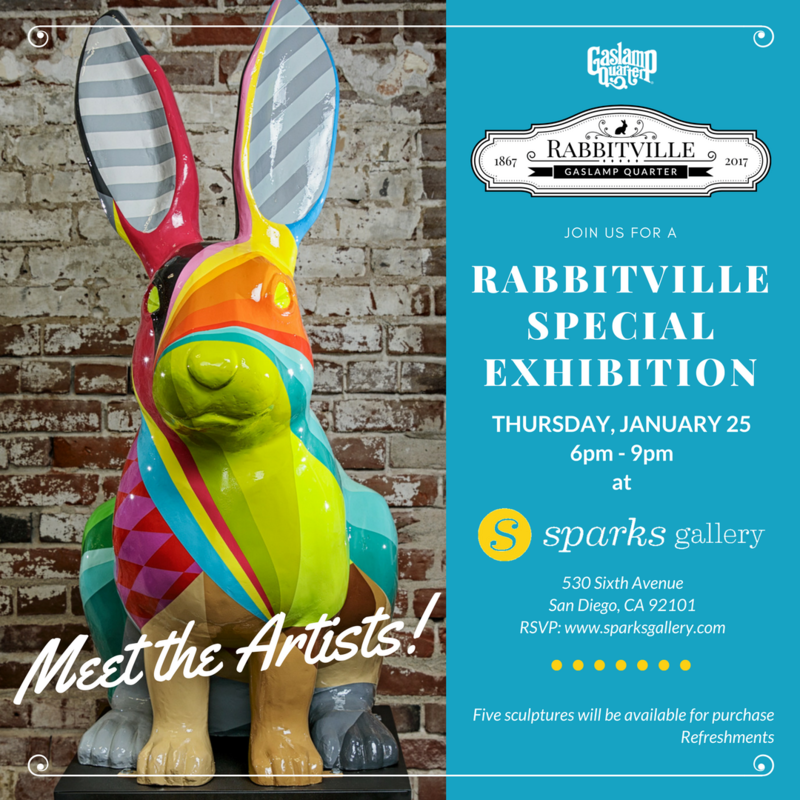 Sparks Gallery is pleased to host a pop-up exhibition of 10 of the rabbits alongside the artists who created them. Refreshments will be served and there will be an appearance of an exotic live rabbit from the San Diego House Rabbit Society on opening night. The Gaslamp Quarter Association in conjunction with Downtown Partnership Clean and Safe will collaborate in a 150th anniversary celebration with the installation of 15 fiberglass rabbit statues in the Gaslamp Quarter. 150 years ago, the area that is now the Gaslamp Quarter was jokingly nicknamed “Rabbitville” after its chief inhabitants. The “Rabbitville” installation will honor the pioneering spirit of legendary founder, Alonzo Horton, who transformed Rabbitville into modern San Diego. 15 artists will be commissioned to paint and decorate these unique canvases that will be on display to the public. 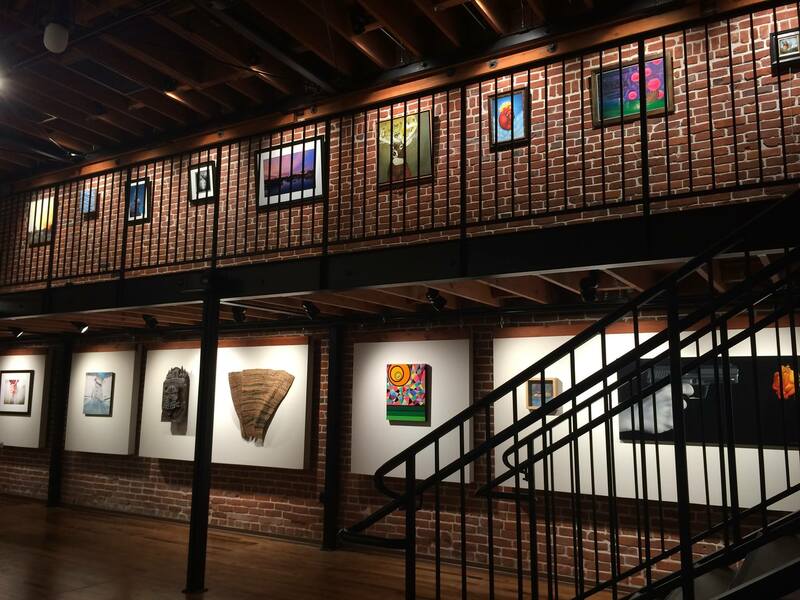 The Gaslamp Quarter Association is wanting to reach out to corporate patrons to share in the celebration by sponsoring one of the 15 sculptures. Media, and Promotional opportunities are available to sponsors, and funds raised by this project will help in a new enhanced decorative lighting campaign to go on Fifth Avenue in 2018. In celebration of our surreal works on view, join us for an immersive dining experience with food and art presentations inspired by the culinary explorations of Salvador Dali. 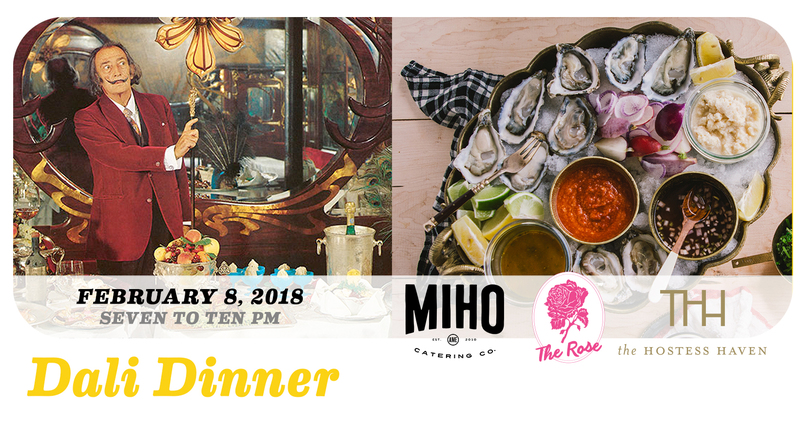 Food by MIHO Catering, Wine by The Rose Wine Bar, & styled by Hostess Haven. Limited to just 60 seats; 21+ Only. Early Bird Tickets are available through January 20th for just $120 per person, all inclusive. Starting January 21st, ticket price will raise to $150.